In the next broadcast of the IABC Circle of Fellows discussion, four IABC Fellows will look at how to coach leaders on when and how to take a stand on political/social issues, the pitfalls of CEO activism, and how to maintain a productive, inclusive tone that seeks consensus and solutions. The panel discussion is set for 9 a.m. PDT on Thursday, 21 February. Watch the video below or on YouTube. We’ll take questions in real time via Twitter with the hashtag #COF42. The session will bed available later as a YouTube video and as a Circle of Fellows podcast. Priya Bates is a senior communication executive who provides strategic internal communication counsel in order to ensure leaders, managers, and employees understand the strategy, believe in the vision, act in accordance with the values, and contribute to business results. She is president of Inner Strength Communications in Toronto and previously served as senior director of Internal Communications at Loblaw Companies Limited. 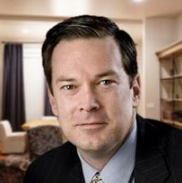 George McGrath is founder and managing principal of McGrath Business Communications, which helps clients build winning corporate reputations, promote their products and services, and advance their views on key issues. George brings more than 25 years in PR and public affairs to his firm. 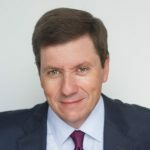 Over the course of his career, he has held senior management positions at leading strategic communications and integrated marketing agencies including Hill and Knowlton, Carl Byoir & Associates, and Brouillard Communications. Leticia Narváez, ABC, is CEO and Founding Partner of Narváez Group, a consulting firm focused on Strategic Communication, Employee Engagement, Corporate Reputation, Social Responsibility and Communication Training based in Mexico City. A 30 years experienced professional, she held management top level positions at Sanofi, Merck, American Express and Ford Motor Co. among others. She builds communication bridges with the utmost excellence standards. During her career path, she has been at the forefront of divestitures, mergers and acquisitions, diversity leadership, issues and crisis management, team and leadership development, strategic planning and senior executive consulting. She has been a speaker at international forums, is co-author of several books and manuals on business communications and has written a large number of articles on the subject. 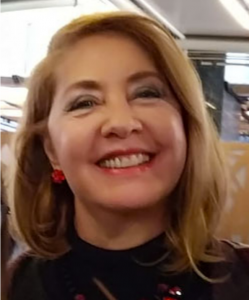 Leticia has a Bachelor’s Degree in Communications and Public Relations from the Latinoamericana University, a Master Degree on Digital Communications from Cantabria University and a Postgraduate Diploma on Top Business Administration at the Panamerican Institute of Top Business Administration – IPADE. Jessica Burnette-Lemon is CW’s senior editor.